Nike has added variety in more than just colors for the Nike Air Jordan 11 Retro for men. The highly collectible athletic shoe is available as low cut or high top. As with any collectible, buyers beware of unknown sellers. Even Amazon customers state in reviews that some sellers were providing fake versions of the shoe so please watch out. Yet, for those seeking the shoe for more than a shelf decoration, it has a lot to offer. 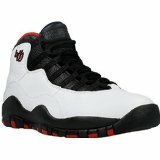 The Nike Air Jordan 11 Retro features a polyurethane midsole with a full-length Air-Sole unit in the heel and forefoot. The Air-Sole technology consists of a strong but flexible bag of pressurized air that compress to reduce impact shock. The unit then recovers immediately to its original shape and volume so that it is ready for the next impact. Other benefits of the Air-Sole unit include being lightweight, having versatility of use, and being durable enough to last through the life of the shoe. Further, the Nike Air Jordan 11 possesses a solid, clear rubber sole designed with cylindrical traction patterns for improved traction regardless of the surface. The low “concord” version features all the same elements of the regular shoe. 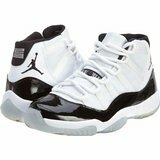 The Nike Air Jordan 11 hosts patent leather (the first in athletic shoes on the basketball court), mesh uppers and carbon fibers. The insole is removable for cleaning or replacement. The shoe is available for the little man who may be tagging along with dad to the court or in everyday activities. was the shoe Michael Jordan originally wore in the movie Space Jam and during a NBA Championship series with the Chicago Bulls. 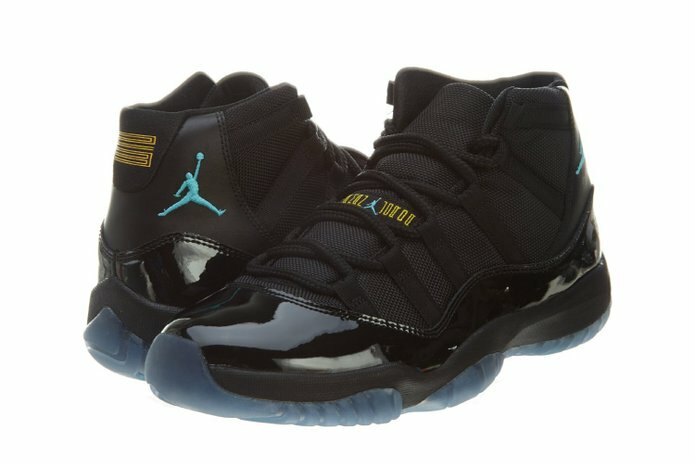 Jordan requested them designed with patent leather so they could be worn any time, from the game to a formal occasion. 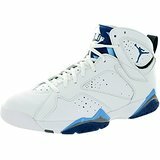 The limited release shoe has made several appearances on store shelves (see Sole Collectors for exact dates). The next scheduled release is in December 2016, just in time for the holidays and to coincide with the 20th anniversary of Space Jam. The Air Jordan 11 Space Jam actual release date has not been revealed but December 17th is the speculated date. Older versions of the limited release shoe can be found for sale online. Should you buy Nike Air Jordan 11 Retro for Men? The Nike Air Jordan is way ahead of its competitors for more than just one reason. One of those reasons is the presence of rubber traction pods in the heel and forefront. In most sneakers, a translucent outsole looks attractive but allows dust or debris to settle down which affects traction. That is not the case with Nike Air Jordan. Whether you play on well-maintained courts or in areas where the floors are rarely cleaned, Air Jordan will hold up just fine. Cushioning is pretty solid thanks to the placement of lightweight Phylon and full length Air unit. The cushioning might not be as soft as the original Retro outfit but previous Air Jordan models have been given a straight march to the back of the drawer. Impact absorption is a primary need for athletes so your performance will stay very much consistent since your heels won’t be taking a hit during movements. The upper mesh boast patent leather and ballistic nylon mesh while a small piece of split grain leather is located at the heel. However, the patent leather may not turn out to be as strong as you would expect it to be but then again, materials are giving great performance which is something that the previous retro versions also offered. The Nike Air Jordan are a perfect fit for everyone. Regardless of your foot dimensions and width, you will find these shoes to be exactly what you need around your feet. If you have wider feet, you have two options; either get a ½ size larger or wait for the materials to break in a little. The mesh nestles around your feet while the patent gives great support. Lockdown is not going to be a nuisance at all and goes all the way up. One thing that could be a little problematic would be the overall strength of the materials. However, this is why these are called the retros. For those who grew up wearing such models in the 90s, will surely be taken to a trip in the past and this little issue might not bother them a bit. It may not be poor but ventilation isn’t great either. In contrast to Air Jordan VI, which has the best ventilation among its peers, the 11 retro really leaves us craving for more ventilation. As long as you don’t feel materials moving around your feet, support remains excellent. Thanks to carbon fiber, Nike Air Jordan gives great support along the base of the foot. The materials may eventually get a little flimsy but that is something which happens with every trainer. Nonetheless, despite a couple of things that could have been improved upon, the Nike Air Jordan XI is a true giant. It looks good, offers great performance on a variety of courts and wears out really slow. Of course there are better options available in the market but these sneakers make sure that you don’t ruin your knees or mess up your ankles.